No matter the time of the year, it's a good time to start preparing for potential storms. While hurricanes hit hardest along the coast, they can also cause effects seen hundreds of miles inland. In conjunction with the National Weather Service’s Hurricane Preparedness Week, we have put together some tips to help protect you, your family, your home, and your neighborhood. Spend some time thinking about potential hazards in your area. 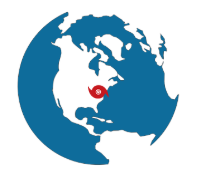 If you are not sure about the possible risks, FEMA provides a map that outlines hazard info across all of the United States. First and foremost, do you live in an evacuation area or an area prone to flooding? Hurricanes create strong storm surges along the coast, producing floods, rip currents, and strong waves that can cause a lot of damage. Do you live in an area with a lot of wind or a lot of trees? Strong winds can uproot trees, bringing down power lines and creating power outages. Are you situated in an area susceptible to flooding from heavy rainfall? Even if you are located inland, you could still be affected by heavy rain. After you’ve identified your risk and needs, come up with a written evacuation plan. Figure out where you would go, how you would get there, and when you would have to leave. If you have a friend who lives in a safer, non-evacuation area, inquire as to whether you can use their home as an evacuation site. Keep your pets in mind when formalizing these plans as most shelters will not account for pets during hurricane times. Remember to write down all necessary contact information for emergency management offices, law enforcement, public safety/fire rescue, local hospitals, utilities, American Red Cross, and your property insurance agent. Prepare everything you will need in case of emergency before the storm hits. Store your disaster kit in a cool, dry place. Make sure you have enough supplies to last you at least 72 hours and ensure everyone in your household knows where the kit is located. The need for light often goes overlooked. However, power outages are a common occurrence during hurricanes, and it is important to keep a safe, reliable light source on hand. LuminAID provides inflatable, waterproof, and solar-powered lights for emergency situations such as hurricanes or tropical storms. Candles are can easily cause fires, making them a dangerous light source. 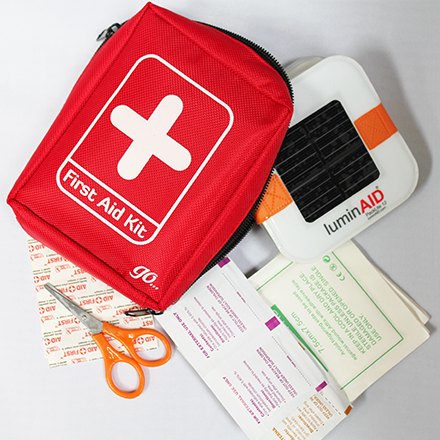 LuminAID lights are safe and rechargeable. They can be left out to charge in the sun during the day and used at night. Some LuminAID lights can also double up as a phone charger, providing a reliable battery source at any time. Having a solar-powered battery source for your phone is crucial to continue communication. All LuminAID lights feature a flashing signal mode, which comes in handy in case of emergency. When a hurricane strikes, LuminAID is your go-to for reliable illumination and energy. When the storm has passed, it’s still important to be aware of potential safety risks during cleanup. Be sure to listen to authorities for more information and special instructions. When cleaning up your home, wear protective clothing and work with someone else. Don’t touch electrical equipment if it is wet or if you are standing in water. Be sure to turn off the electricity at the main breaker or fuse box to prevent electric shock. Flood water sometimes has dangerous debris in it. Avoid wading in it. Underground electrical lines or downed power lines in flood water can also present an electrical danger. Use text messages or social media to communicate with others as phone systems might be down after the storm. And finally, document any property damage with detailed descriptions and photographs. Contact your insurance agent for recovery help.